Here at Lab 651, we are proud to have fast growing and forward thinking clients like ZEF Energy. They are committed to expanding its Midwest-based Fast Charging network to accommodate the rapid growth of electric vehicle use. 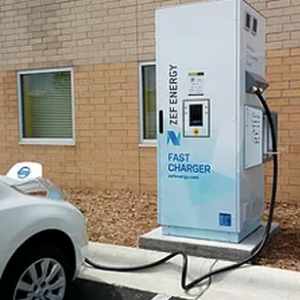 ZEF Energy has successfully worked with many Minnesota and Wisconsin cities, utilities, non-profits, and for-profit partners in our mission to provide increased availability of reliable and cost-effective electric vehicle charging to their customers and the public. Most recently, ZEF Energy opened a new electric vehicle charging station along I-35. Lab 651 is currently working with ZEF Energy due to our extensive experience in wireless design, electronics and embedded systems. We are helping them design and deploy their next generation wireless communication system into a network of home charging systems. The connectivity solutions we provide allows our clients to reduce cost, open new revenue streams and improve the quality of life of their customers. This is an exciting opportunity where renewable energy meets digital transformation!